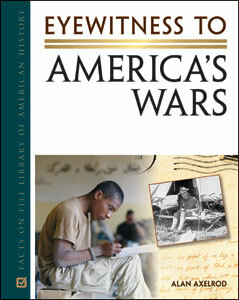 Eyewitness to America's Wars features dramatic accounts of life and death during the ferocious battles experienced by our nation's men and women. This two-volume set offers unprecedented insight into such conflicts as the Civil War, the Indian Wars, World Wars I and II, the Vietnam War, the Persian Gulf War, and more from the men and women who experienced war firsthand. Chapters are arranged chronologically, ranging from America's colonial warfare to the present-day wars in Iraq and Afghanistan, each beginning with a short history of a conflict followed by a selection of accounts. In addition to the observations of well-known military leaders such as George Washington, Ulysses S. Grant, and George S. Patton, this anthology features the heroic and astonishing literary voices of common soldiers, marines, airmen, and sailors, as well as war nurses, journalists, chaplains, and civilians.